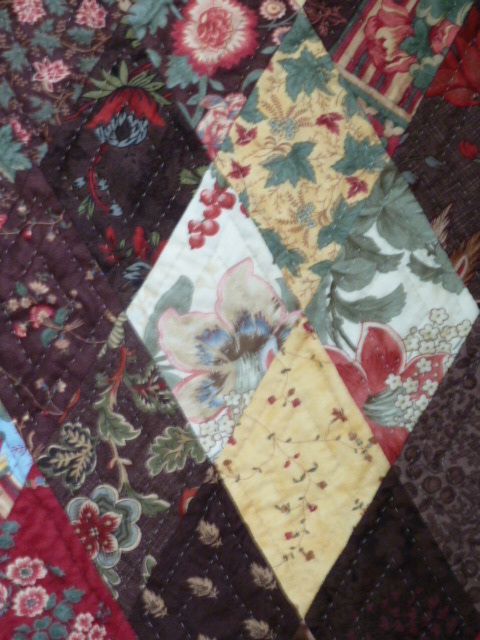 Last night I finished hand-quilting the diamond portion of the prayer quilt, Just the background to do now. 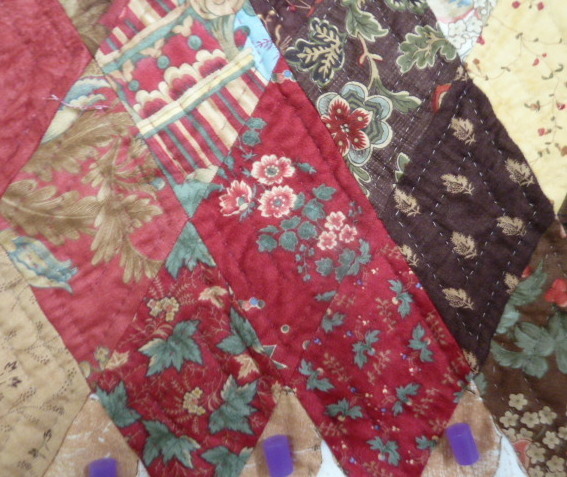 I’m not sure wther to continue using the Gutermann hand-quilting thread or to go for the bigger stitch quilting on the background in a Perle. What do you reckon? Do you ever sleep? You always have some new project on your page. I honestly don’t know how you do it. It is lovely and I like the bigger stitch! That makes 3 of us who prefer the bigger stitch!!! Thanks Chérie. I enjoy the input I get from my readers too. I agree with all of the above. I think it will “hi-light” the smaller stitches in the diamonds. And Linda, I think “reckon” has always been an aussie word too, as in (to put it into slang), “whaddya reckon?”, or “you reckon?” hehe I can remember it being used from when I was a child. Funny the things that get our attention.